Latest news and hottest around cargo, forwarding, shipping, logistic, and others. Especially in Indonesia. Bisnis.com, JAKARTA – The Ministry of Transportation ensures the increase in the cost of Aviation Navigation Services (PJNP) is delayed until June 2019. Head of the Public Information and Communication Bureau of the Ministry of Transportation, Hengki Angkasawan, said the reason for delaying the increase in navigation costs was to reduce operating costs for airlines. It is expected that ticket prices paid by passengers can also be reduced. “PJNP Airnav has postponed its increase for 6 months starting from January 2019. The planned increase in the beginning was from Rp. 6,000 to Rp. 7,000 for each en route,” Hengki said, Thursday (02/21/2019). Bisnis.com, JAKARTA – Garuda Indonesia Group considers that air cargo or air cargo mail (SMU) rates are currently in accordance with the costs that must be incurred by the airline so there will be no adjustments even though the avtur price has dropped. VP of Corporate Communication of Garuda Indonesia, Ikhsan Rosan, said that the increase in tariffs for Senior High School some time before had been adjusted to the costs incurred by the airline so that it could not be lowered. Bisnis.com, JAKARTA – The Indonesian National Air Carriers Association (INACA) claimed to open a discussion room with the Association of Indonesian Express, Post and Logistics Shipping Services Companies (Asperindo) about the demand for air cargo tariff adjustments. INACA Chairman IGN Askhara Danadiputra said that the logistical integration system was needed to support the national economy. Of course, talks from all relevant stakeholders are needed to create an efficient condition. Bisnis.com, JAKARTA – The Association of Indonesian Express, Post and Logistics Shipping Services Company (Asperindo) considers that the decrease in avtur prices should also be lowered. Asperindo Head of Transportation and Infrastructure, Hari Sugiandi said that the airline should also reduce the price of its air cargo rates because Pertamina had reduced its avtur prices. “Avtur should go down, the tariff will also go down, but it has gone up now. When this [airline] loses, the cargo starts to empty, because our products are not possible senders via flights,” he explained to Bisnis (2/21/2019). Bisnis.com, JAKARTA-PT. Pelabuhan Indonesia III (Persero) to claim the application of digital services in the port of Tanjung Perak Surabaya was able to shorten the average service time is up to 15%. The efficiency obtained after the implementation of operations in the port of Tanjung Perak be centralized through the Port Operations Command Center (POCC) since December 6, 2018. Director of operations and commercial Pelindo III Putut Sri Muljanto mentions some of the services become more quickly in between the time the application for the service of verification from the original 0.3 hours to 1.17 hrs. AirNav Indonesia President Director of Novie Arwana target revenue this year reached Rp3,66 trillion. As for the targets, the moderates have been classified in accordance with the company’s budget work plan (RKAP). 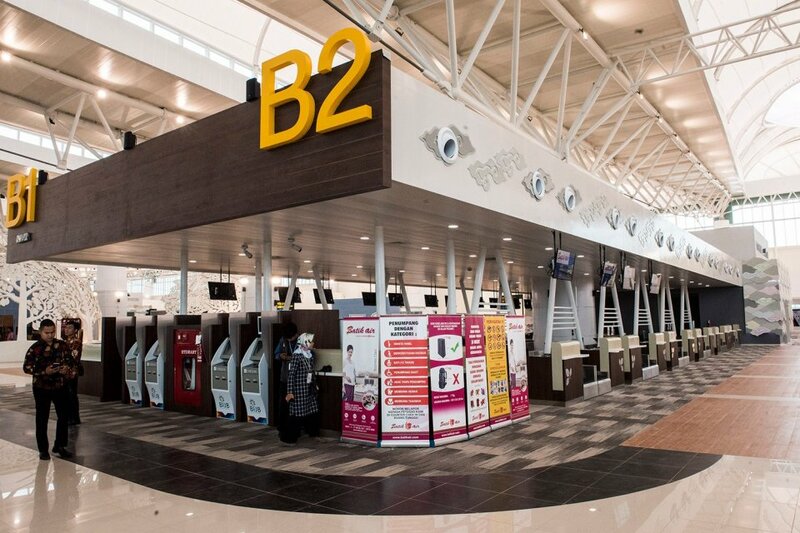 BIJB Airport was built since December 2015 with an airport project value reaching Rp 2.6 trillion. Kertajati will have a terminal with a capacity of 5.6 million passengers per year. PT Angkasa Pura II (Persero) or AP II wants to make the 13 airports it manages as a digital tourist destination. This concept is applied to reap more and more millennial consumers. AP II Managing Director Muhammad Awaluddin said, the application of the concept of digital tourism at the airport is expected to give a different impression for airline service users. Entertainment – A child saw entertainment at the Ngurah Rai airport area, Kuta, Badung, recently. Throughout 2018, Angkasa Pura Airports was recorded to serve 96.5 million passengers in 13 airports it manages. TRIBUN-BALI.COM, JAKARTA – Throughout 2018, Angkasa Pura Airports was recorded to serve 96.5 million passengers in 13 airports it manages. This figure grew 7.6 percent compared to 2017 with 89.7 million passengers. I Gusti Ngurah Rai Airport in Bali is still the largest passenger contributor with 23.7 million passengers, or a 12.6 percent growth compared to the previous year. Meanwhile, Semarang General Ahmad Yani Airport recorded the highest passenger growth among other Angkasa Pura I airports with an increase of 16.4 percent, from 4.42 million passengers in 2017 to 5.12 million passengers in 2018. JAKARTA – Entering 2019 Customs continues to create various innovations and strategies in order to respond to the rapid development of industry that has entered the industrial stage 4.0. Strategic steps are taken by perfecting business processes in all lines and innovation and modernization following the development of the global economy in the digital era. Related to that, the Directorate General of Customs (DJBC) implements the third generation manifest to facilitate service users while reducing logistics costs. This is one of the Customs steps to be able to increase the ease of business in Indonesia and the smooth flow of goods. “The third generation Manifest is the latest version that prioritizes the principles of automation and simplification in line with the Customs and Excise Reform program agenda in order to build smart customs and excise systems to create business processes that are easy, inexpensive, fast, transparent, effective and efficient,” said the Director General of Customs and Excise Heru Pambudi in Jakarta, Monday (1/7/2019). 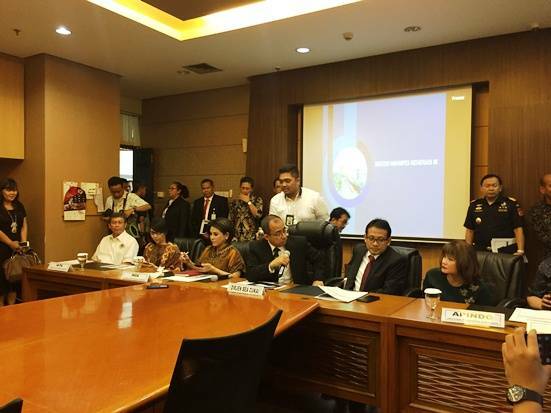 JAKARTA – Chairman of the Association of Express Delivery Service, Post and Logistics Indonesia (Asperindo) Mohamad Feriadi asked operators regulated agents to review the matter of tariff determination. “At least we want to be cost-reasonable, do not have a profit element because it is managing a private element may be reviewed, or indeed if deleted will be very good,” he said on Monday (2/7/2018). In addition, he said RA should be managed by the government. “This should be the responsibility of the government (public service) and should not be delegated to private companies whose orientation is definitely profit making business,” he said.